(VEN) - VietinBank is the only Vietnamese bank to win the Asset Triple A award for the Best Trade finance service provider in Vietnam. (VEN) - The results of the restructuring of commercial banks in the last two years showed that short-term problems in fields such as reorganization, ensuring the payment capability of the entire system and dealing with inefficient banks had been resolved. In the long term, tightening controls over bad debts and strengthening successful banks must be considered as major tasks. (VEN) - Despite difficulties in seafood production and processing, plus stiff competition among commercial banks in the southern province of Ca Mau, the Vietnam Bank for Agriculture and Rural Development, Ca Mau branch (Agribank Ca Mau) still posted growth and sustained its market share, to reach VND3,993 billion last year. All of its attached units had their capital sources increased, especially those raised from residential areas. (VEN) - Some financial policies and regulations came into effect in April 2014. These include regulations on judicial authorization charges applied to civil matters, the minimum level of charges on auction sale of securities, and fines imposed on unreasonable price increases. (VEN) - Standard Chartered Bank (Vietnam) received a Golden Dragon Award 2013 for “Most Favorite International Bank”. Golden Dragon Awards are presented annually by the Vietnam Economic Times in collaboration with the Foreign Investment Agency and the Ministry of Planning and Investment, to recognize and celebrate foreign-invested enterprises for their significant contributions to Vietnam. This is the seventh consecutive year that Standard Chartered won this prestigious award. 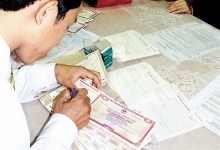 (VEN) - The Government Office recently released Official Letter 2039/VPCP-TCCV conveying Deputy Prime Minister Nguyen Xuan Phuc’s guidelines for administrative reforms in the fields of taxation, customs, social insurance, health insurance and seafood quarantine. (VEN) - Instead of wasting time to fill complex forms at counters, Bac A Bank’s customers can use a new money transfer service via card number, meeting customer expectations in a fast, easy and convenient manner. 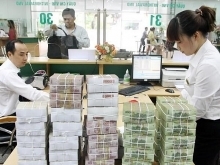 (VEN) - The Asian Development Bank (ADB) released its quarter report on the Asian bond market on March 30 saying that among emerging economies in East Asia the Vietnamese bond market grew the fastest quarterly by 14.8 percent in 2013. 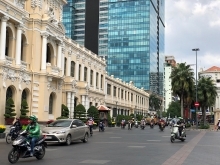 (VEN) - On March 17, 2014, the State Bank of Vietnam (SBV) announced reductions in the interest rate ceilings applied to deposits and short-term loans in VND. Credit institutions began to apply these reductions on March 18.